Historically, it has been a challenge to achieve the same degree of transparency and engagement within mobile video inventory, particularly when bought programmatically. 77% of all video spend will be executed programmatically in 2018 and 80% will be spent on mobile come 2019. (But) "A key part keeping people out of this market is the lack of measurability." 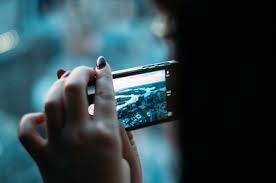 The picture isn't always clear when it comes to video advertising on mobile devices. That's because there are two different standards when it comes to video: VAST and VPAID. VAST is abundantly available through programmatic exchanges and loads much faster when compared to its counterpart, VPAID, but it's incapable of measuring key metrics like viewability on mobile or in apps. VPAID has problems, but not that one. And that's a big sticking point with marketers, especially because VAST is supposed to be the successor of VPAID. The difference matters all the more because mobile video saw its highest levels of ad spend through the first six month of 2017, with $2.6 billion. Looked at another way, nearly 77 percent of all video spend will be executed programmatically come 2017, according to eMarketer, and a large chunk of those dollars (80 percent) will be spent on mobile come 2019. In an effort to fix the measurement debacle, the Interactive Advertising Bureau's Tech Lab is testing new standards for VAST that would support independent third-party verification through companies like Moat or DoubleVerify. Many expect the new VAST standards to be announced at the IAB Annual Leadership Meeting this February. Innovid, the video marketing platform, is trying to get a jump on the new regime, saying it has already begun offering marketers the ability to measure ad viewability with VAST inventory. "The industry as a whole is moving toward enabling measurement in VAST because the inventory is much more widely available," says Michael Tuminello, VP of solutions and partnerships at Innovid. "A key part keeping people out of this market is the lack of measurability." Innovid has added video partners like Fyber, InMobi and MoPub to make its offering more widely available. "With VAST, app developers and in-app video specialists can pre-cache video ads, which creates a seamless experience for users and delivers smooth, buffer-free video ads instantaneously," says Anne Frisbie, senior VP of global brands and programmatic at InMobi. "It also allows advertisers to engage users and provides them with a more efficient way to measure viewability for ads." Innovid's offering also includes interactivity; consumers can find a car dealership after viewing a commercial for a BMW, for example. IPG Mediabrands is using Innovid's product with "major car manufacturers," according to Huascar Peralta, senior VP of global ad ops at the media agency network, but he declined to share names or provide data on how well the interactivity element is playing out. "Historically, it has been a challenge to achieve the same degree of transparency and engagement within mobile video inventory, particularly when bought programmatically," Peralta says. "What it's doing is it is giving a level of comfort to our teams and marketers; we're able to see what's viewable and what isn't. It allows us to truly optimize and negotiate with our partners in a way that we haven't before."